Should a Christmas present be practical, useful or personal? The search for the perfect gift idea continues. Berlin, London, Cambridge. 6 Nov. 2009. Finding the right Christmas present for your friends and family is a challenge you have to face every year. When a few basic rules are observed, finding original and affordable presents can become quite easy. Last minute purchases should be avoided, it only causes stress at the wrong time of the year. Searching for and buying Christmas presents can be completely relaxed when done from home on the Internet. Questions like: "What would she like or what would be useful to him?" or "Does it have to be that expensive?" have become redundant in our affluent society, where people have already bought the things they want and what they have not bought yet they don't really want. For this Christmas here a list of individual gift ideas to preserve personal memories and to celebrate families and friendship. These are largely photo gifts, personalised with own images. Greeting cards with their own interesting or funny pictures are much more personal. Photo services like FotoInsight print photo greeting cards usually in sets of ten as picture postcards or folding greeting cards (with image and text on-print on all four pages) with their envelopes . Hint: The cheapest photo greeting cards are on photographic paper, where the front can be edited in full colour, costing only £3.99 including 10 envelopes. There can hardly be a better Christmas present than a photo calendar, let it be a wall calendar, a desk planner, a table picture calendar or kitchen calendar, it needs a new one every year. The FotoInsight Designer software provides many calendar templates for photo calendars in different sizes. Similar to the photo book layouts, a virtually unlimited number of pictures can be applied and layered. A birthday calendar can include passport size pictures on birthdays in the calendars. Those who want to print calendars on a printer at home (that will still be possible on the last day), will do well with the photo calendar software from greenstreet, the voucher TEST0825 gives a 48% discount (£12.99 at http://greenstreet-online.com/offers/iitm-calendar/index.htm). Photobook calendars from Printing-1 are the alternative to wall calendars. They can be up to 250 pages thick with much space for pictures and notes. With pictures from a family or holiday there will be a story to tell. The ideal medium to preserve these memories is a photo book, printed with personal photographs. The holiday season is the time to share these memories with the whole family. Another photobook service, Printing-1 launches a new photo book style just in time for the season. In this new glossy photo book each page is sealed with a glossy, environmentally friendly vanish. With the glossy finish the photo book should be protected from all the finger prints friends and family will leave on the pictures as the photo book is passed around. Some pictures need space; they will look great as a poster or as a laminated and framed deco block. Laminating posters instead of putting them under a glass frame avoids light reflections, but still protects the colour prints from humidity and UV-light so that several generations should be able to enjoy the poster prints. FotoInsight's Designer software includes a Collage Poster and Collage Canvas feature, to create a print composed of up to 98 images. A fine present for those with space on their walls is a photo canvas print, Especially photographs which were post edited with artistic effects that look great as an art print. 'Think Big!' photo canvas prints are available in online photo shops in a range of different formats and sizes from 20 x 30 cm to 120 x 120 cm. FotoInsight offers photo canvas prints with the option of a floating Havana frame. With this frame the fold over the edge of the wood frame is visible and the 3D effect of a mounted canvas preserved. A photo heart glass block with a laser engraved photograph and other photo crystal gift ideas can be found in Fotoinsight's Crystal section. Prices range from £9.99 / €12.99 for a crystal key ring (with LED light) to £19.99 / €29.99 for a laser engraved crystal photo (the engraving process is apparently military technology). When giving a soft toy with your own photograph, at Christmas it has to be a "photo moose" (with a red cap). 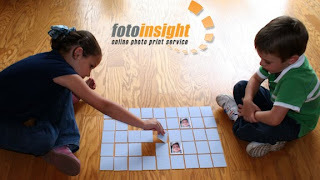 The picture pairs game Remembory is ideal for families, as it suits children from the age of 4 years young and unites families. 25 of your own photos (family, holidays, et al) suffice for an individual gift (£12.99 / €13.99 +p&p), which families can play over the holidays. Photo puzzles too are popular during long winter nights. What could be more personal than a photo gift? What preserves memories in vivid colours? 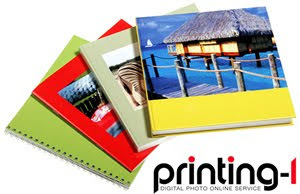 In the digital age the photo gift printing industry seems in tune with modern consumer values. International IT Marketing Limited issued this press release for Printing-1.co.uk, greenstreet online Limited and FotoInsight Ltd.
"greenstreet online limited" are a leading developer & software publisher focusing on the sales of innovative products developed both in-house and by outside parties worldwide. Winner of major industry awards and accolades for innovation & value, greenstreet creates innovative, feature packed products at affordable prices - for Home Entertainment, SME Business & Office Markets and a well-established test department ensures that only the very best games and utility software gets the greenstreet stamp of approval. FotoInsight Ltd was founded in Cambridge in 2003 and runs an easy to use digital photo processing service for Windows, Mac OS and Linux users, offering an extensive array of award-winning photographic print and photo gifts as well as the photo books, photo poster and photos on canvas printing. Prints ordered through FotoInsight are developed at five state of the art photo labs in three countries.The online photo service has grown year on year faster than the photo processing industry and has expanded its services in five European languages in 32 countries. Berlin. London. 5 Nov. 2009. Printing-1 produces long lasting photo book. Now the online photo book specialist is adding an gloss vanish option to sealing the photo book pages. This ensures that after the whole family has browsed through the new photo book at Christmas it will still look like new. As an environmentally aware enterprise, the printer ensures through compliance with ISO 14001* that the pages in photo books from Printing-1 remain free of toxic substances. For three years Printing-1 has been offering customers the opportunity to design their individual photo book. To the range of photo canvas prints and photo books as well as photobook calendars Printing-1 now adds the glossy photo book. For this the complete photo book pages are coated with an environmentally friendly glossy varnish, which improves brilliance and detail. Customers can choose among seven different photo book formats with up to 250 pages. A longer lasting book binding is achieved with a Polyurethan (PUR) glue, which keeps the photo book pages in place. Thanks to the new High-Gloss finish option, the printed surface is protected from wear and de-colouring, ensuring a long life for the book and the photographic memories within. The new hi-gloss can even be used with a good ecological conscience. From now to the the 30th of November 2009 customer can save up to £60 when opting for a high gloss finish for free (normal price £0.30 per page). Printing-1 offers a Windows and MacOS compatible online photo service, which can be used with photos from any digital camera or camera phone. Printing-1 specialises in photo books and photo canvas printing only. The professional printing processes allow Printing-1 to offer its photo booklet in the "pocket" format with ring- or laminated binding from £7.95 – plus p&p £4.90 (orders over £100 ship free). Between the Pocket and the Premium format, Printing-1 offers further five intermediate sizes. The costs for the optional high gloss finish cost in the photo book Maxi 30 pence per page. * The ISO 14001 is a standard for environmental management systems. The aim of the standard is to reduce the environmental footprint of a business and to decrease the pollution and waste a business produces.